A creative kids decal illustrating a bunny with a scarf welcoming everyone! Brilliant design from our collection of rabbit wall stickers. 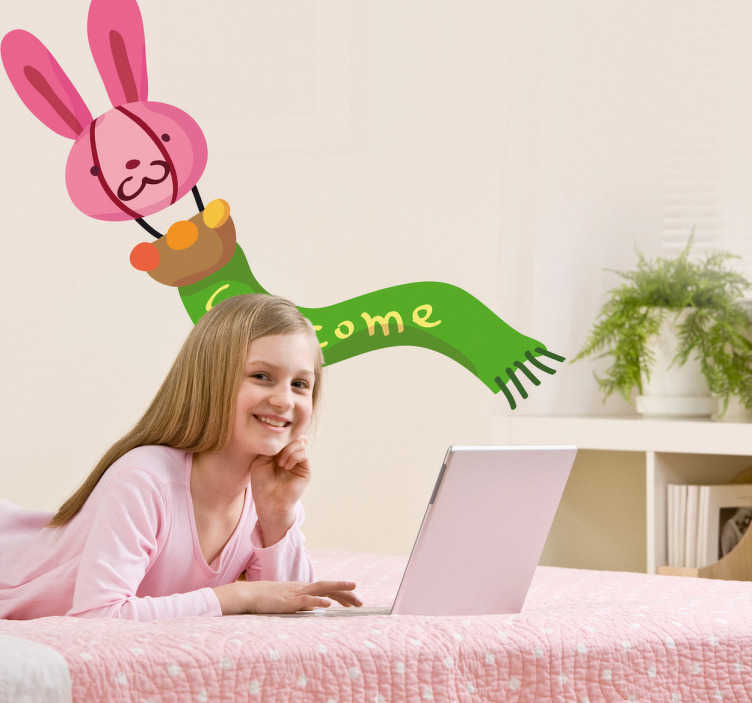 If your children love bunnies and need some wall decoration on their room then you have found the perfect bunny decal to create a lovely atmosphere! This welcome rabbit design is suitable for all environments with children. Available in various sizes. Easy to apply and leaves no residue upon removal.